Jo Cooper is a London-based fiddle and banjo player. She is an experienced teacher of all levels – recently she has lead workshops for the English Folk Dance and Song Society, Sore Fingers Summer Schools, the Friends of American Music and Dance, and more. She also currently directs two of London’s mixed-instrument youth folk bands. Jo loves teaching folk music as it is possible for musicians to play together working at their own levels, creating a community feel. Growing up in Wales, Jo learnt classical violin and viola alongside playing tradition music from Ireland, Wales and elsewhere in Europe on the tin whistle and fiddle. 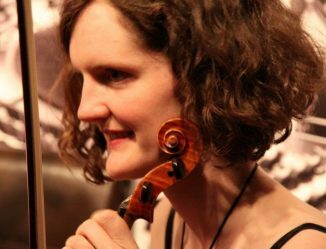 Jo studied on the BMus Folk and Traditional Music course at Newcastle University, graduating with first class honours with fiddle as her first instrument. 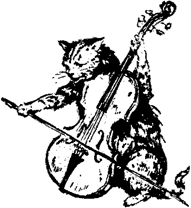 As well as teaching, Jo regularly performs with Ceilidh Tree and cello-singer Laura Victoria. She also composes contemporary classical music, and has an alter-ego working in electronics.